Swimming, sunbathing, fun, chilling, a good glass of fresh wine and great food: that’s our recipe here in Romagna and tourists can enjoy it getting lost in… “ a sea of tastes”. Baietta’s family give you a warm welcome in this cozy location with all the kindness of a family-run business which is ready to ensure you a peaceful and relaxing staying. If you want to spend your holidays or your business trip in Rimini come to us! We could put at your service the courtesy and competence learnt in 30 years hospitality experience. The comfortable environment, renewed in the years is ready to satisfy every guest needs. 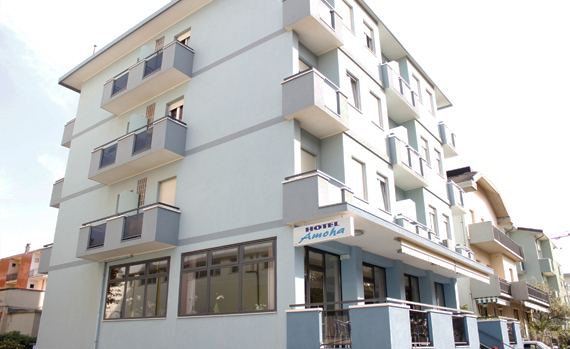 Hotel Amoha is located right on Bellariva promenade..